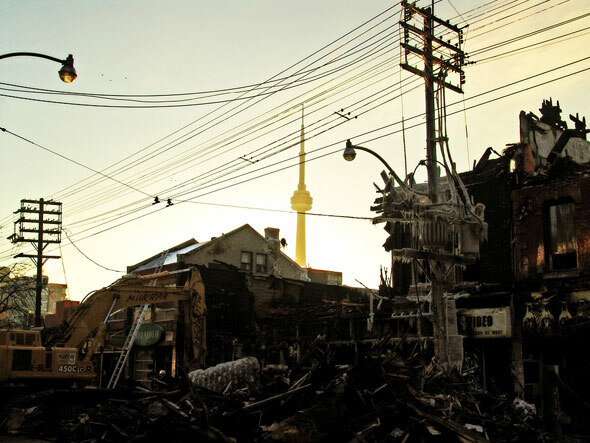 blogTO reader and photographer Hamish Grant sent us some incredible photographs of the ongoing cleanup efforts in the aftermath of the devastating fire that destroyed much of the historic block in Queen West. Many have lost their homes and their jobs, and without insurance, are facing serious difficulties. 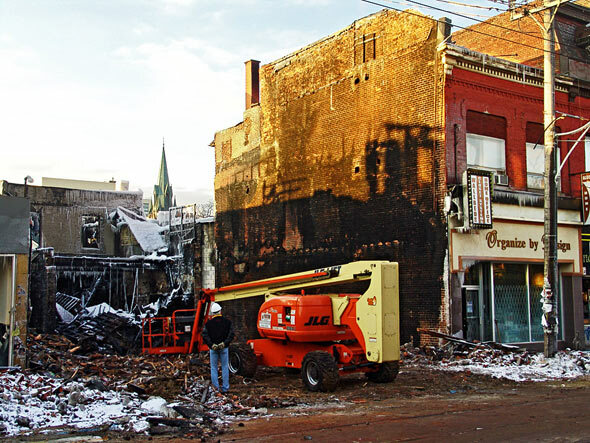 Early estimates put the damages at $10-million, but much of what was lost can't be assigned a dollar figure. 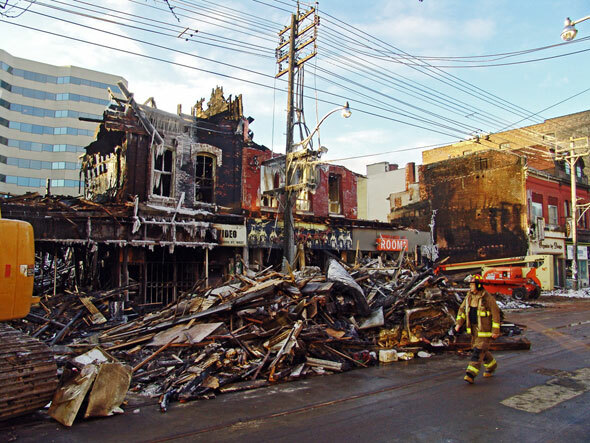 Financial donations in support of the victims addressed to the "Queen Street Fire Fund" are being accepted at all Scotiabank branches in Toronto. 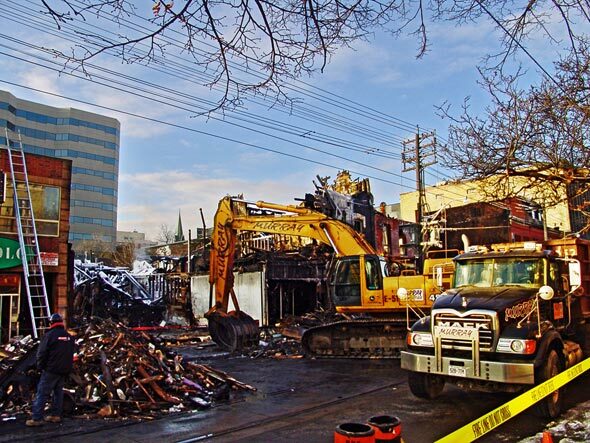 Trinity-Spadina councilor Adam Vaughn is appealing to all residents, employees, business or property owners who were affected by the fire to let the city know how they have been coping, and if they have any immediate needs. Investigators are also appealing to anyone that has eye-witness accounts, including any photos or video that may help them determine the nature and location of the cause or source of the fire. To view these (and more photos taken by Hamish) larger, view his fullscreen slideshow.